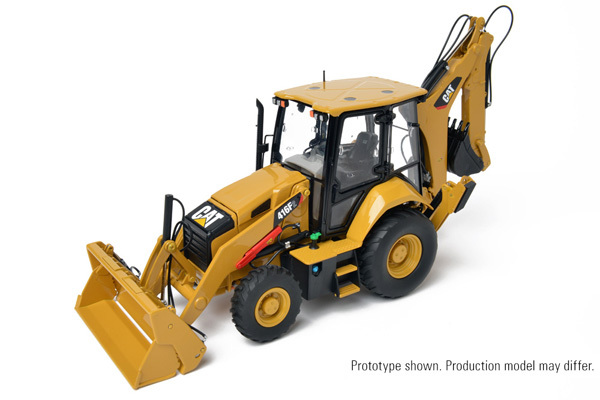 The 1:24 scale die-cast model of this machine has been modeled with the E-stick and 24” digging bucket along with a 1.31 cubic yard MP loader bucket. Boom, stick, loader and both buckets can all be put through a full range of motion as can the outriggers. 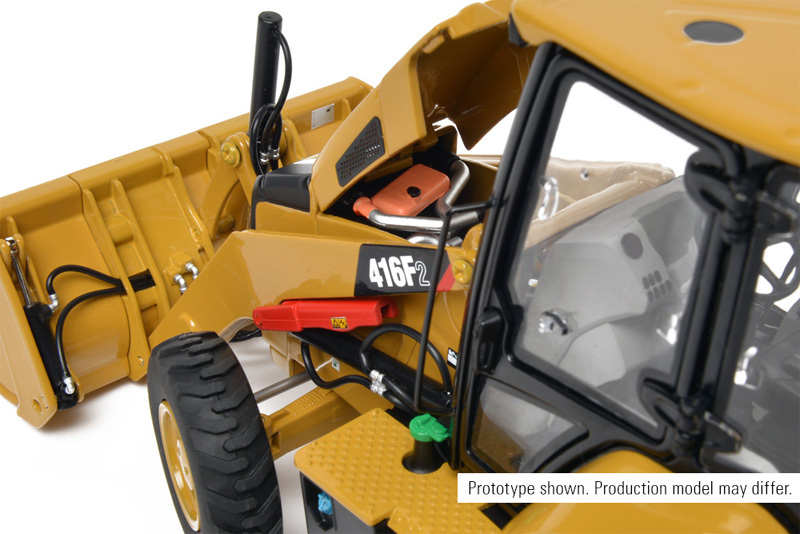 This allows for a wide range of display positions for the model. 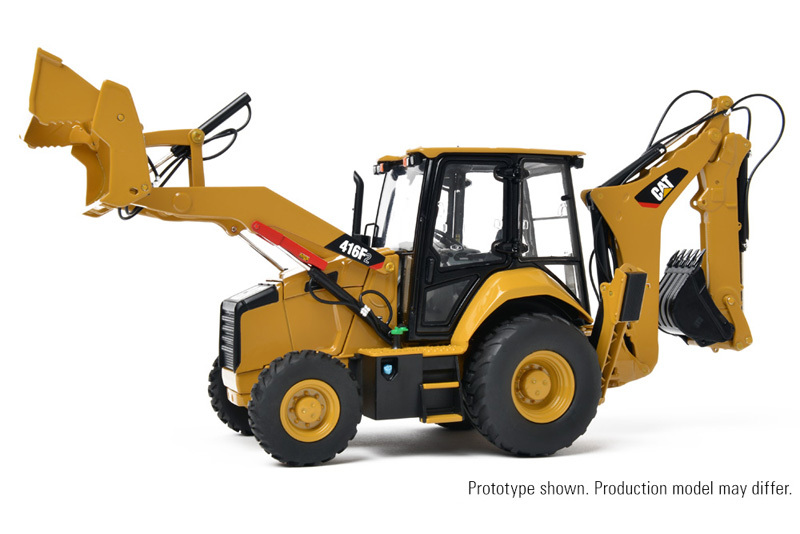 All aspects of the 416F2 are modeled to CCM’s standards, including realistic hydraulic lines, windshield wipers, mirrors, lights and an opening cab door. A high level of attention has been paid to the engine and drivetrain, including the full array of components that make up the optional 4WD system. The model features both steering and oscillation of the front axle while a new material for the tires gives them a softer and more realistic appearance and feel. 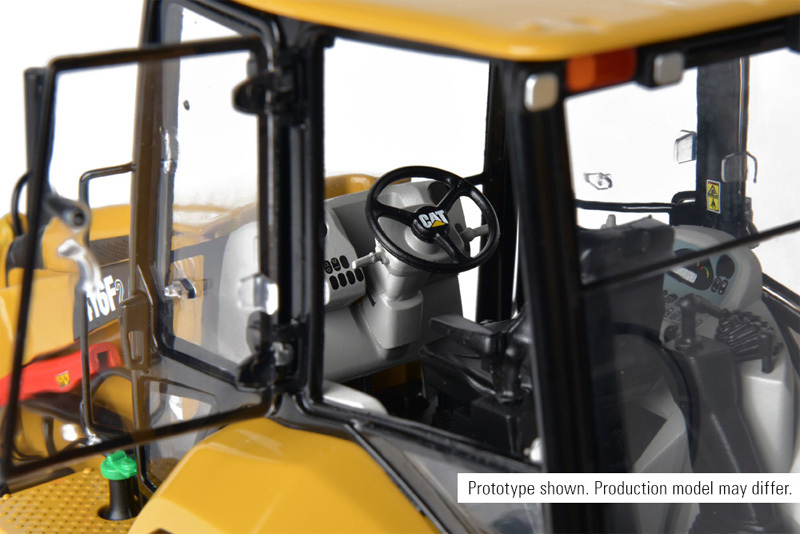 Close inspection of the operator’s cab will reveal a rotating seat, an assist knob on the steering wheel, pilot-operated joy sticks, instrumentation and warning labels. 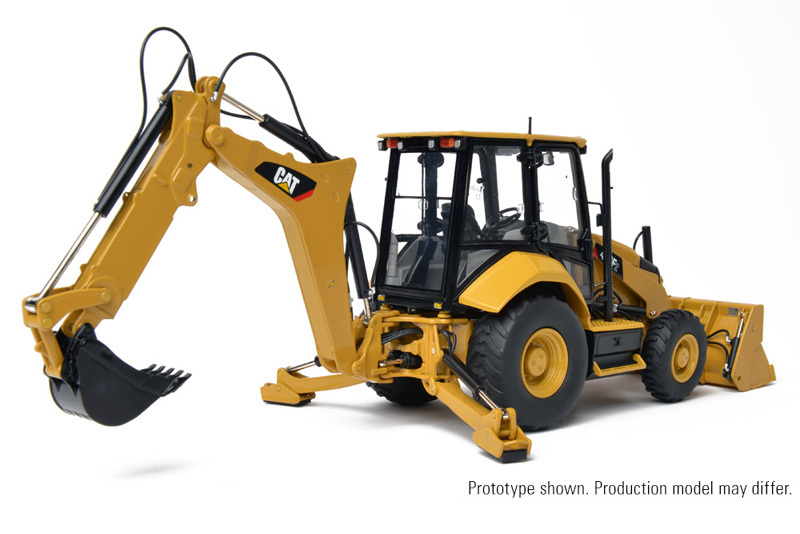 The fully rendered machine markings, warning labels and paint scheme are all approved by Caterpillar.